TaxiGoForest the most friendly, reliable, profesional Taxis and Airport Transfers company in New Forest since 2011. Based in Totton and covers all areas in New Forest. We provide profesional, reliable, value for money. A customer focused transport for residents, business and tourist customers for routine or special occasions. Wherever you might be and have access to the internet, we will ensure that a chauffeur will be waiting to meet and greet you. 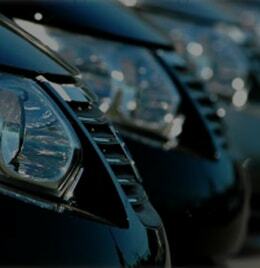 Exclusively available to businesses, our corporate business taxi account service make your life easier. Burley Taxi, West Wellow Taxi, Totton Taxi, Marchwood Taxi, Hythe Taxi, Dibden Taxi, Holbury Taxi, Beaulieu Taxi, Ashurst Taxi, Brook Taxi, Lyndhurst Taxi, Brockenhurst Taxi, Lymington Taxi, Sway Taxi, New Milton Taxi, Minstead Taxi, Cadnam Taxi, Bartley Taxi, Bramshaw Taxi, Fritham Taxi, Nomansland Taxi, Winsor Taxi, surronding areas. Also all airports and city transfers. The choice for those who love cars! We offer elegant and spacious vehicles suitable for your comfort and elegance! VIP Cars available for those special occasions. The estate cars can carry up to five passengers and offer suitable space for more luggage. Perfect option for passengers with a large amount of luggage. The MPV vehicle can carry up to six passengers and offer a large amount of space for luggage. Perfect solution for small groups or when carrying large items. We are looking forward to start driving for you!